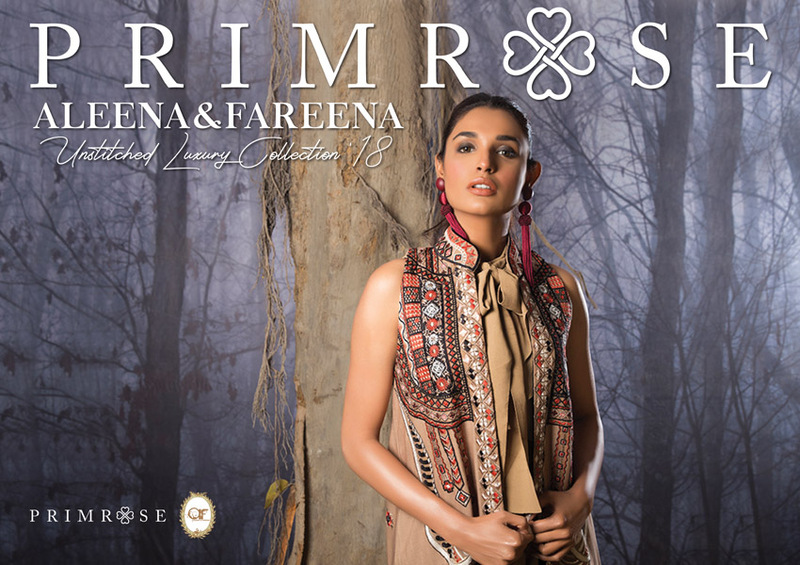 What’s In Store: Aleena & Fareena’s Unstitched Luxury Collection’19! 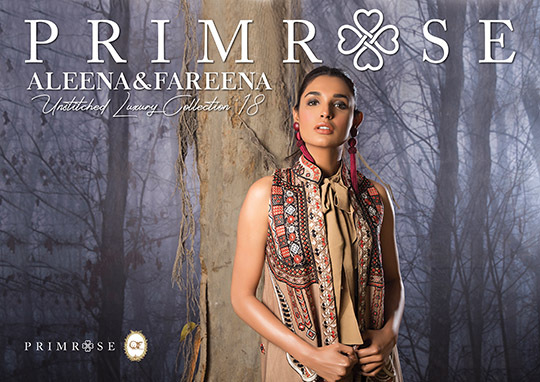 Branching out to the big leagues; dynamic duo Aleena & Fareena have officially stepped into the world of mass production with their latest Unstitched Luxury Collection in collaboration with Primrose. Known for their bespoke design sense and quarterly exhibitions- Aleena & Fareena designs have always been a treat to get our hands on. Now that they’re readily available in the market is even better news! The collection launch was a supreme hit and the designs ranged from elegant saree’s to embroidered looks along with statement pieces made with sequence to portray a more formal vibe. The collection was made in beautiful shades of tan, cranberry red, gilded golds, coral, ice blue along with classic ivory and black- ensuring there’s something special for everyone’s individual style. The brands tan design complete with ethnic geometric embroideries in lush earthy tones with splashes of tangerine definitely caught our eye- stitch it in a long kurta style with sleek cigarette pants and you’ll be good to go! If you’re looking to glam up your winter festive look we suggest opting for their maroon and black sequence number- flowing bell sleeves and azaar pants will give this ensemble that extra oomph. So ladies scroll down, pick your favorites and head over to Runway Eleven to get Aleena & Fareena’s latest collection while it lasts. What's In Store! : Sania Maskatiya Open Their New Store In Karachi! Step Up Your Style Game With Carmin’s “Freyja” Spring/Summer 2019 Collection! Gul Ahmed’19 Men Unstitched Premium Fabric: An All in One Solution This Summer! Gul Ahmed has always been a brand dedicated to providing quality products that are statement as well as ever lasting…. What’s In Store: Update Your Summer Wardrobe With Nadia Farooqui’s Latest Collection! Take A Virtual Trip To Versailles With Shamaeel Ansari! What’s in Store! : Image RTW Spring Collection Will Have You Looking Breezy & Fresh! What’s in Store! : Sana Abbas’s New Formals Ooze Glamor! Style Notes: Easy, Breezy White Kurtas You Need In Your Armoire This Summer! Sania Maskatiya And Zara Shahjahan Shine On Day 1 Of PFDC! Nazakat Volume I by Sanam Chaudri Hits All The Right Notes! Exhibition Hit List: Aleena & Fareena’s Iris Collection Featuring The White Fiesta! Top Trends We Spotted At PFDC 2019! Crimson X Republic Womenswear Lawn Collection Hit’s All The Right Notes! With every lawn collection Crimson & Republic Women’s Wear up the ante when it comes to innovation, creativity and style…. Lawn Fever: Step Into Summer With Image’s “Lawnkari” Collection! 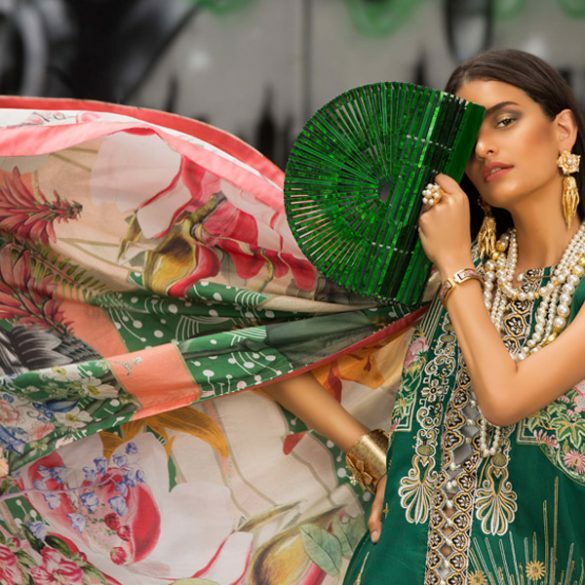 Ayesha Ibrahim X ZS Textiles Present Their Spring/Summer’19 Lawn! WordPress Theme built by Shufflehound. © 2019 Secret Closet. All Rights Reserved.